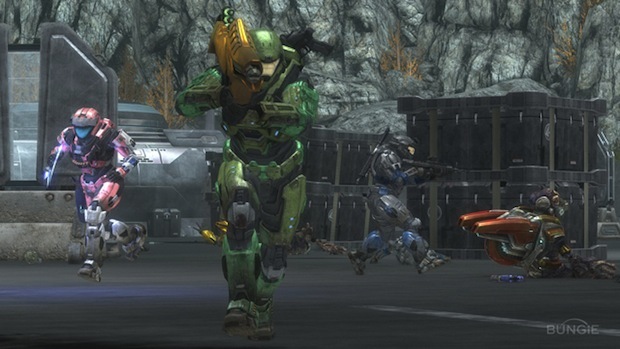 The Sydney Morning Herald interviewed Bungie executive producer Joseph Tung, and the interview opened with the news that Halo: Reach is finally done. A 10-year journey has come to an end. Well, almost. You have to play it first. But they're done making Halo. "We went gold last night, so yeah, it's pretty much in the can. It is a weight off my chest to know that we went gold," said Tung. In the interview Tung goes on to say that this is the biggest Halo game they've ever made as well as Bungie's most ambitious title. The hype level now? I'm standing on my tippy toes to show you. "All I can say is that I hope people view Reach as a really worthy farewell to the universe. I hope people view it as the definitive Halo title from Bungie.